The Grapemobile Downhill Mountain Cruiser – exhilaration plus! 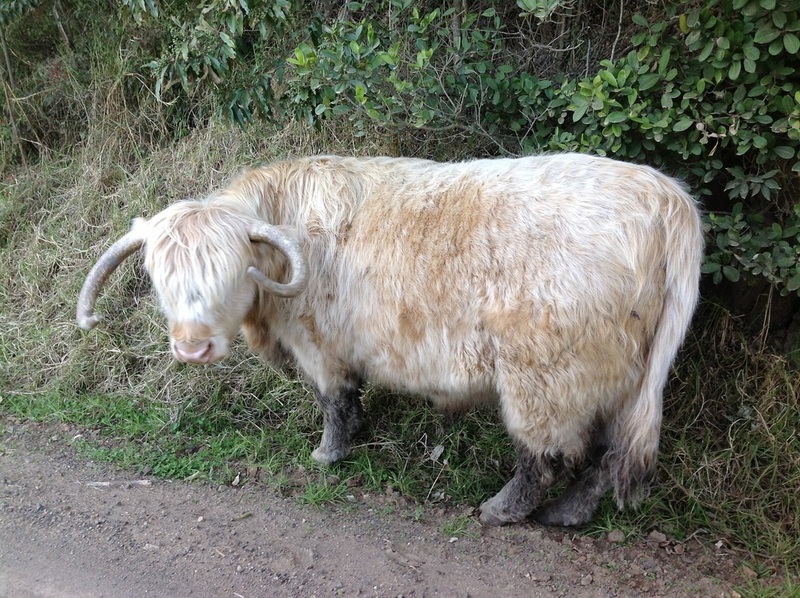 There are now two types of Mountain Ride from which to choose! 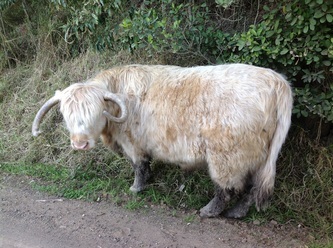 The 'Early-bird Cruiser' heads for the mountain at around 7.00am and is suited to those wanting the freshest early morning excerise, an exciting start to a busy day, or perhaps those wishing to partake in the delights of an early morning tasty country breakfast along the way. The 'Day Cruiser' sets off for the mountain just after 10.00am, a start time suitable for those keen on taking a leisurely meander along the wine trail, perhaps enjoying a restaurant of picnic lunch along the way. With either option, there's plenty of time to savour the delights of Wine Country, as both options include bicycle hire till 6.00pm! 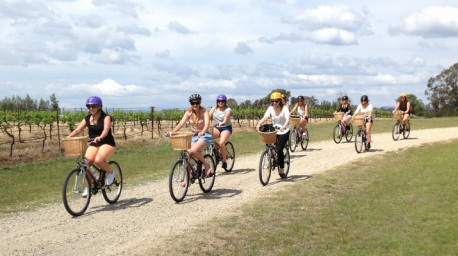 The Grapemobile shuttle bus with mountain bike transporter takes your bicycle hire group to the region’s most scenic location, Pokolbin Mountain Lookout, to begin your special cycling experience high above the vineyard valley floor. Complimentary morning tea of sweet biscuits, tea & coffee are included whilst you admire the magnificent Hunter Valley panorama from a wedge-tailed eagle’s perspective before beginning your 40 minute down-hill cruising descent to the valley below. Take your time, there’s no rush, no set agenda, you’re on your very own self-paced cycling tour. 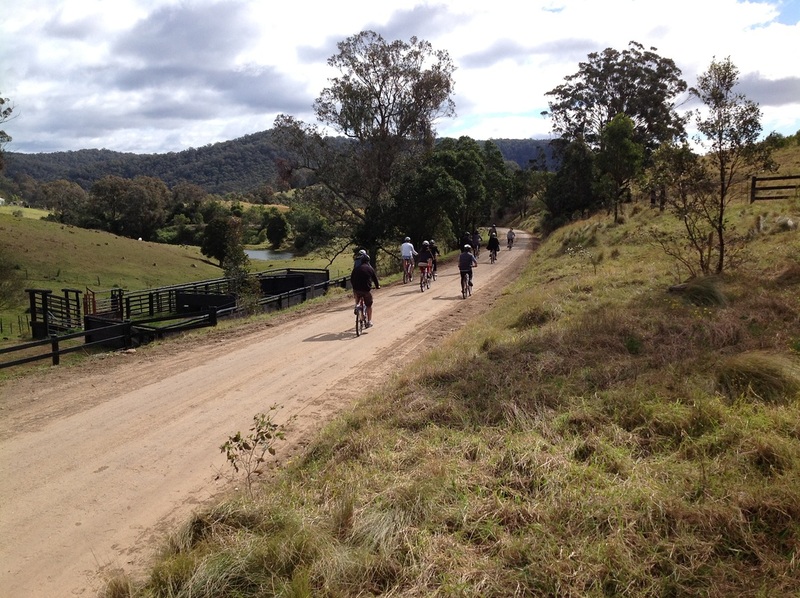 Ride one of the oldest unsealed historic roadways in Australia, the Pokolbin Mountain Road, first formed by early settlers over a century ago. Travel past mountain farms, observe animals and amazing native wildlife, smell the fresh country air, at times lightly scented by wild flowers, rest at vantage points admiring the breathtaking scenery, hear the beautiful songs of unique mountain valley birds, your natural accompaniment to the unforgettable exhilaration of this special mountain bike cruising phenomenon. Another bend in the road and you’ve reached the valley floor. The prominent vineyard scenery, a reminder that you’re now back in the wine country! Yet another facet of your amazing adventure begins. A host of winery and gourmet experiences await to satisfy your remaining senses as you travel country roads & laneways, including 4 kilometres of dedicated cycle way. Reflect on the highlights of your spectacular Mountain Ride descent whilst relaxing on the mid-morning cafe sundeck to admire your mountain panorama from a different perspective. Continue your cycling adventure, making your way along the wine trail to Audrey Wilkinson Vineyard where fine wines, great views and your personal picnic hamper awaits, especially prepared for you by Vittorio's of Pokolbin. Spread the provided 'Kent' picnic rug on the soft grassy knoll to enjoy your unique & memorable picnic right in the heart of Hunter Valley Wine Country. 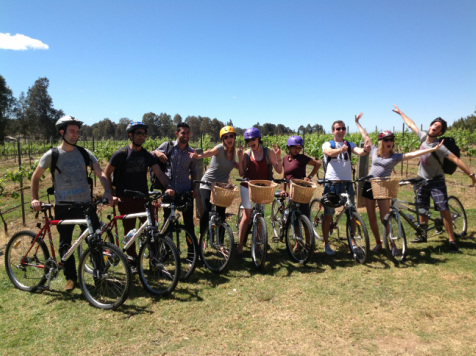 At your cycling leisure, continue your winery adventure, eventually meandering back to your initial starting point, Grapemobile Bicycle Hire, situated at the renowned vineyard of Pokolbin Brothers Wines. Start by taking the easy way to the top of Pokolbin Mountain on board the Grapemobile Shuttle Bus. Enjoy a complimentary morning tea with spectacular views prior to cruising on your Grapemobile Mountain Bike all the way down the spectacular mountain road to the beautiful vineyard valley floor below. Choice of start times, from the 7.00am Early-bird Cruiser, timed to coincide with a choice of cafe/restaurant breakfast options to start your day, or perhaps the 11.00am Day Cruiser, for those on a more relaxed timetable. Other start times may be possible, depending on availability. Either way, there's plenty of time to meander your way along the wine & restaurant trail, as all 'Grapemobile Downhill Mountain Ride' options include bicycle hire up till 6.00pm! Definitely a must do!